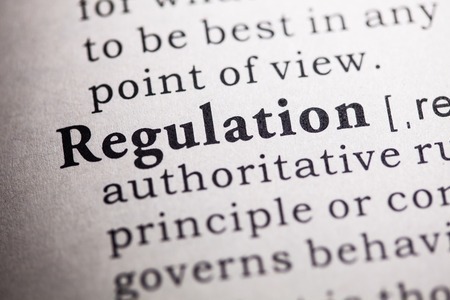 According to the Financial Industry Regulatory Authority (FINRA), the regulator has sanctioned Hennion & Walsh, a broker-dealer located in Parsippany, New Jersey after an investigation involving unsuitable sales of Unit Investment Trusts. According to the Letter of Acceptance, Waiver, and Consent, between December 1, 2011 and December 31, 2016, 29 of the firm’s registered representatives allegedly recommended 645 unsuitable series-to-series switches between substantially similar Unit Investment Trusts that had substantially similar investment objectives. The Firm’s registered representatives purportedly did not reasonably assess whether the alleged benefits to the customers from the switches outweighed the additional sales charges the customers would incur by making the switch. Hennion & Walsh also reportedly failed to establish and maintain a supervisory system, including written supervisory procedures, to detect and prevent unsuitable series-to-series UIT switching, according to FINRA. The same series UITs had similar or substantially similar investment objectives and portfolios. According to FINRA, as result of these series-to-series switches, 438 customers incurred unnecessary sales charges of $ 305,438.83. Consequently, FINRA has reportedly censured and fined Hennion & Walsh, Inc. $165,000 and required the firm to pay full restitution to the customers in question. Unit Investment Trust (UITS) are investment companies that offer redeemable units of a portfolio of securities in a public offering. A UIT’s portfolio is not actively managed between inception and the termination date. At the termination date (usually two years after the initial offering) the underlying securities are sold and the proceeds are paid to investors. UITs are typically designed to be held until their termination date. A customer who sells a UIT before its termination date and buys another UIT incurs new front-loaded sales charges that would otherwise be deferred if the UIT were rolled over to a new UIT at the termination date. According to FINRA, neither the Firm nor its registered representatives accounted for the effect of the new sales charges, and therefore they did not have a reasonable basis to recommend these series-to-series switches to their customers. This information is all publicly available and provided to you by The White Law Group. If you have concerns about your investments the securities attorneys at The White Law Group may be able to help you. For a free consultation please call the offices at (888)637-5510.